We know the proper protocol for posthumous editing never has been followed by BTT International. In addition to this: can anyone present just one change in Prabhupada’s books made posthumously that does not violate at least of the above points? If just one change in the 1983 edition violates just one of the above points, then that change is offensive and a sign of disloyalty to Prabhupada. I have not seen one single change in the 1983 edition that was true to all the above points. I therefore consider the 1983 edition as being offensive and disloyal to Prabhupada. Niscala Devi Dasi makes a few wrong observation. One of them is that the 1983 unauthorized edition IS THE FIRST DRAFT. That is wrong. There is a HUGE difference between the first drafts which can be seen here (http://bookchanges.com/bhagavad-gita-as-it-is-manuscript/) and the 1983 edition. Thousands of large and small differences. This is also not correct. There are certainly places were BBT International have not changed back to the first drafts. 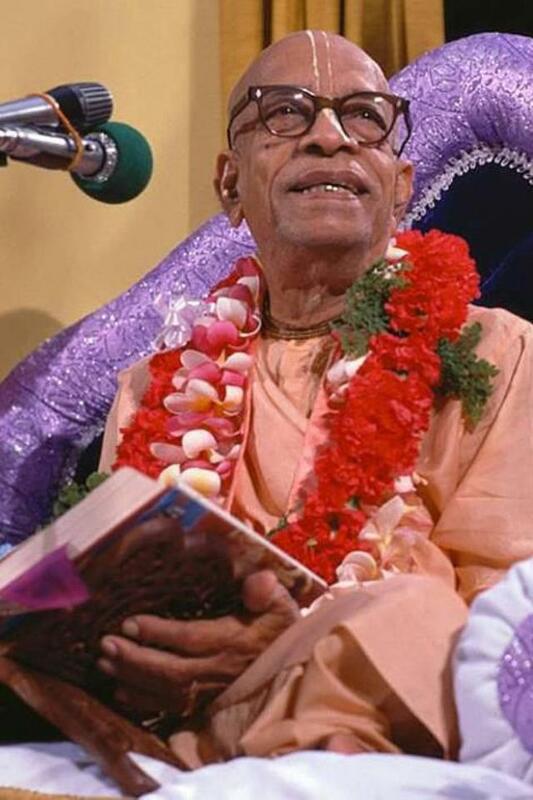 For example, the word eternal have been taking out of verse 2.18, even though Prabhupada referred back to this word in his lectures in this specific verse. There are several such examples. Also, Prabhupada never asked the editors to go back to the drafts and use these to edit his gita again. When he approved the 1972 edition of the gita he called it “The Complete Edition” and “The original manuscript” which shows that all previously made draft were now discarded as material to be used in the book – at least without his instruction, permission or later approvel (none of which were ever given except 2-3 example like cattle raising to cow protection). So to change the 1972 “Complete Edition” back to the so called “original manuscripts” which are actually only drafts is to override thousands of editorial decisions and approvals made by Prabhupada. Remember that it was also Prabhupada’s editorial decision to use Hayagriva as editor. So to override Hayagriva’s decisions (many of which were made in close consultation with Prabhupada and the rest approved by Prabhupada before publishing) is also to override Prabhupada’s editorial decisions. Read more about fallacy of going back to the first drafts here. I guess we do not really know that. Shouldn’t Prabhupada be the final decision-maker on this? Did Prabhupada want his first drafts published like this (yes, no, maybe?)? Did he want another book explaining all the faults in his 1972 edition? (yes, no, maybe?) Or did he prefer us to stick to the arsa-prayoga principle and simply overlook the transcendental faults due to our love for Prabhupada as our eternal well-wisher and master? (yes, no, maybe?) It’s all guesswork – and we ought not make editorial decisions based on guesswork. Why not just read the 1972 edition which Prabhupada approved, loved and lectured from for 5,5 years and make progress in spiritual life without getting entangled in finding faults with the Sampradaya Acarya. There is more to say, but these were my main points! This entry was posted in All posts, Arsa-prayoga, Debate, Examples of changes, No authorization and tagged arsa-prayoga, authorization, editing protocol, Niscala, posthumous editing, prabhupada. Bookmark the permalink. Do you think the word sattva should be changed to sraddha in the purport? On a broader scale, do you believe it would be advisable to go through the entire Gita to revise with annotations similar instances of what may be type-written flaws? If this is done, it is likely the BBTI will cease to print the bogus edition with its 5,000 unnecessary changes.